There’s magic to be found throughout The Happiest Place on Earth! 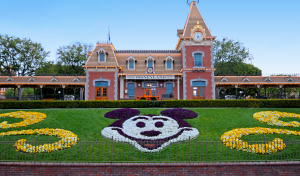 With two amazing Theme Parks, three Resort Hotels and the Downtown Disney® District, the world-famous Disneyland Resort is where Guests of all ages can discover wonder, joy and excitement. Discover new and classic attractions and entertainment, like Star Wars™ Launch Bay, Pirates of the Caribbean and Splash Mountain at Disneyland® Park. And Disney California Adventure® Park is where you can go Soarin’ Around the World and enjoy incredible entertainment like Frozen—Live at the Hyperion theatrical spectacular. In all, there are more than 100* can’t-miss attractions, shows and dining experiences. But the memories you’ll make here are nearly limitless. After your meetings and events are done, take advantage of endless opportunities to enjoy time with colleagues, family and friends. Also, consider extending your stay! The Ticket Store will open on 06/10/2019. Tickets are valid from 10/05/2019 through 10/16/2019. Our ticket store closes at 9:00 PM PST on 10/09/2019. 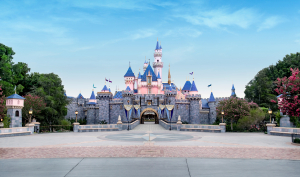 Whether before or after your meetings and events, Disneyland Resort has so much to explore and experience. From exquisite dining, relaxing at the spa or exploring the Theme Parks, take the chance to add a few extra days of fun. *All attractions and entertainment may be seasonal and are subject to change without notice. Please check show guide for availability and times.